For the first time in eight years I will not be going to Kenya this summer. It feels rather sad and strange to write that. I will not have the opportunity to share time with Ruth and her family, our staff, and of course, the children who are not only the reason for, but the heart of our program. While the program doesn’t need my presence to operate, it is such a joy to be there, to witness and in a small way be part of the day to day business of the program. At this point there are tentative plans in place for myself, Anita and our daughter Julia to be there in December. Anita and I will stay for 4 to 6 weeks and Julia will remain, working with Ruth, for another 2 months. This coming weekend will be our annual birthday party. It is a time of celebration through the area as hundreds of people – orphans and extended family – come together for a meal, passing out presents, and making it known through the region that the birth of these children was a cause for joyous celebration. Amongst the original reason for the party the newest members of our family – those who do not know their birthdays – will here-after be able to use July 19th as their birthdates. Staff will initiate the process for the government to issue them birth certificates. This document, that we all take for granted, does more than simply acknowledge their birth but means that they are able to ultimately apply for all benefits open to Kenyan citizens including applications for university, passports and to be in communication and eligible for applications for bank loans, and property ownership. Our children, through this process, become fully ‘real’ in the eyes of the government. While I am not there to be part of this joyous celebration we have one sponsor, Melanie, and her son Skyler, who will be part of planning and participating in the hundreds and hundreds of details necessary to have a party for 300 or 400 celebrants. It’s only fitting that Melanie is part of this since her school, Glendale, is funding this year’s party! When you give water you give life. Our latest project, Hope Springs, has been in effect in the community for over a year now. This water source has provided clean, fresh water to the people in the valley below our orphanage. This was our third significant water project in the community. At the same time our growing family has required a growing quantity of water. 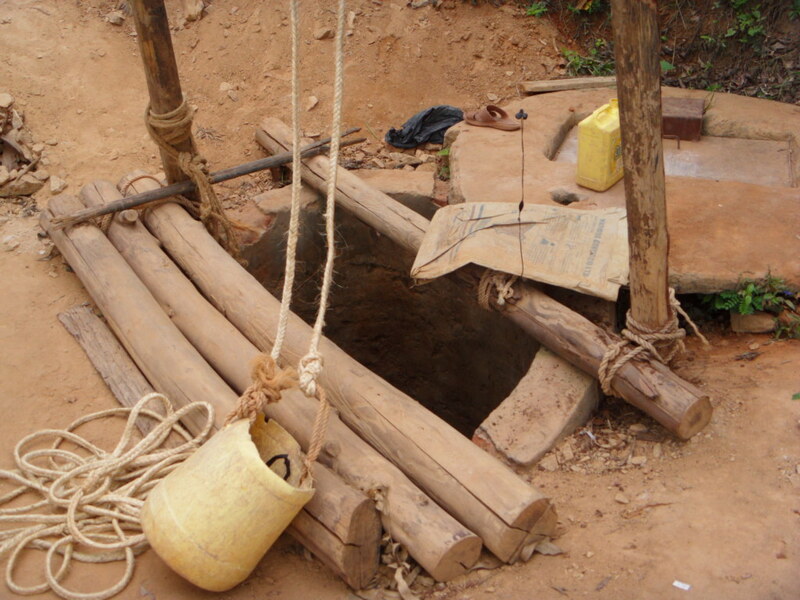 Our first well on the property has not been able to meet those needs. As such a second well – funded in part by another project Ruth is working with – The GoGo Grannies in Nova Scotia – is being dug and on the property. 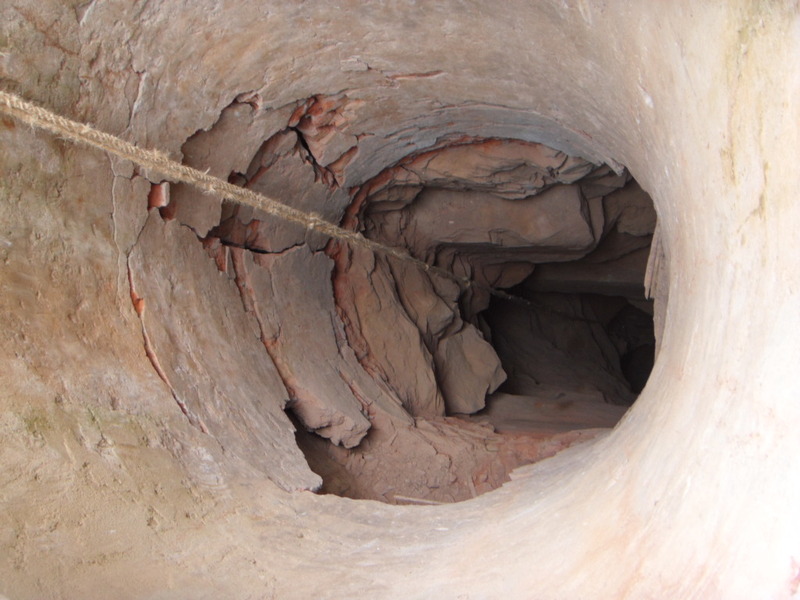 As with our previous well the diggers continually hit rock necessitating using a combination of blasting and chipping to get deep enough to find water. Digging is, by far, much faster and less expensive. At 72 feet they finally hit water. It is going deeper to ensure that the water will continue to flow. While the digging is complete there remains the need for a pump and piping to get the water from down below to where it’s needed. 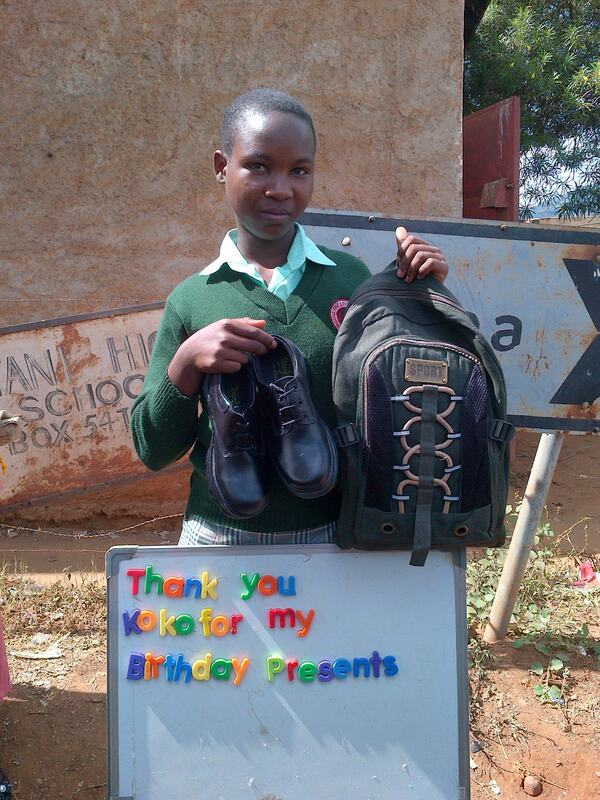 That is ongoing with some funding coming from the donations noted this month. 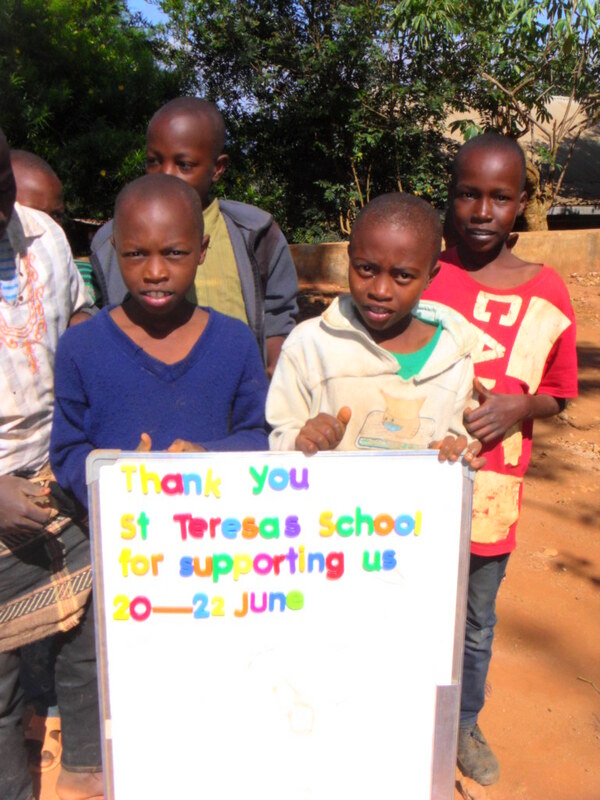 June is our busiest month for donations as the year closes down and schools that have fund-raised are sending us their donations. It’s such a wonderful experience to receive these funds! 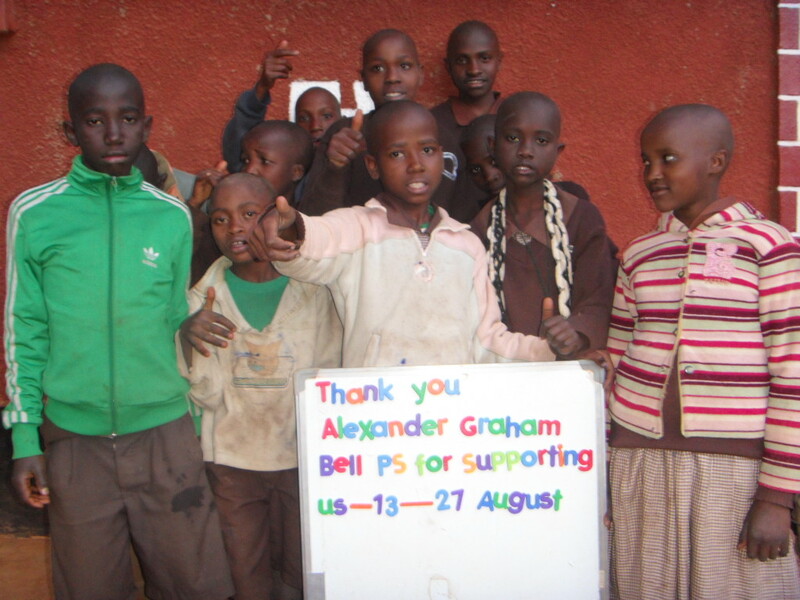 In many cases I had no idea they were even raising money for our orphans until the cheque arrived. Great, great thanks to all of these schools! In the fall I had a wonderful tour of schools in Saskatchewan. 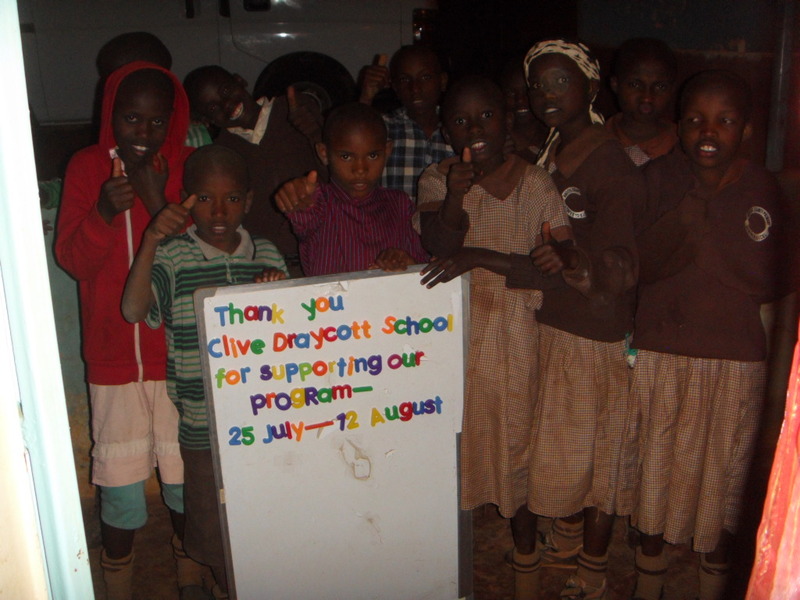 Clive Draycott School, under the leadership of teacher/librarian Tracy Aulie raised funds for our orphans. This donation will provide daily support for the residence and funds for the third semester of high school education for our orphans. 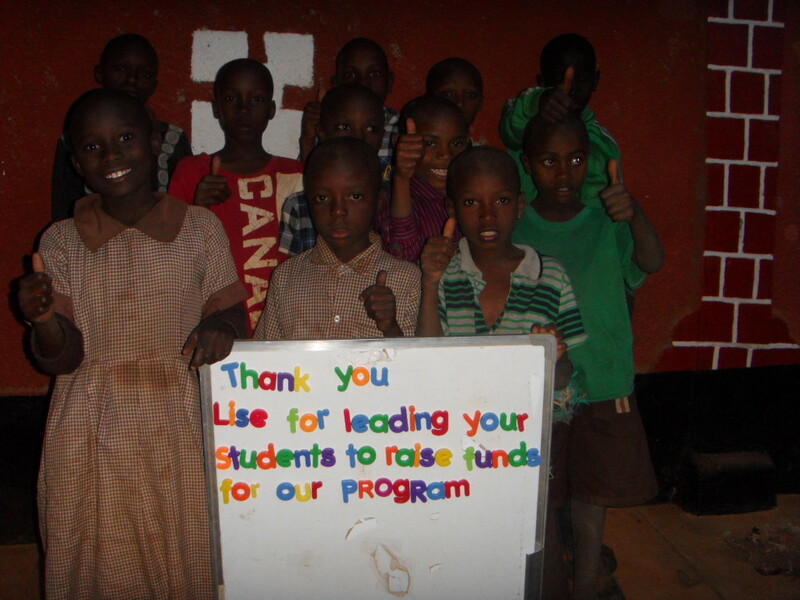 When you visited our little school, Minesing Central P.S., we remembered you talking about the Creation of Hope Foundation and we would like to donate. In lieu of gifts for Mr. Frankcom we teamed up to raise a total of $162. 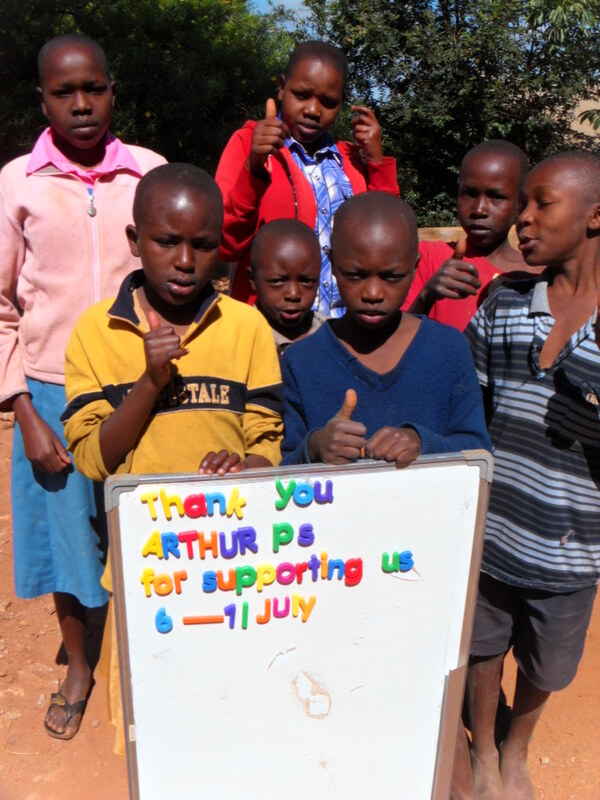 We appreciate the fact that your foundation puts every cent towards the children’s education and health. 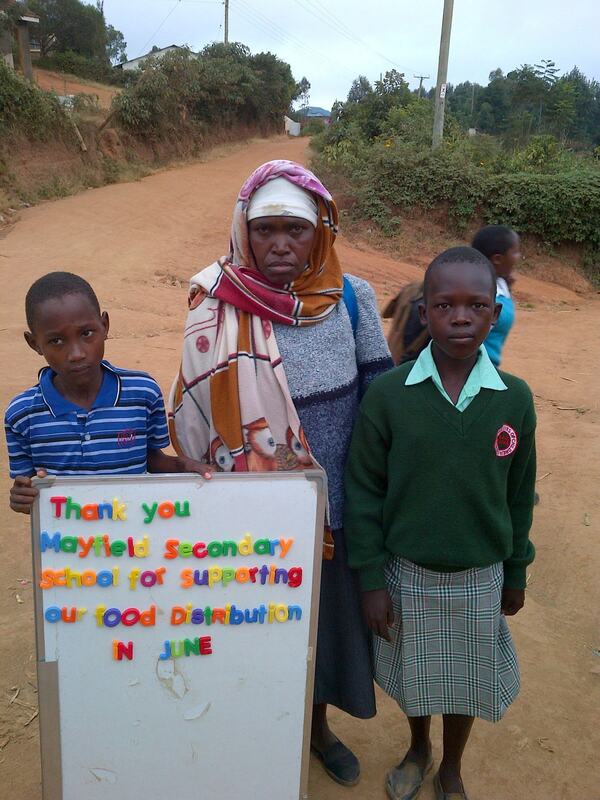 You even inspired a student to use the topic of children and poverty for their slam poem. Thanks again! 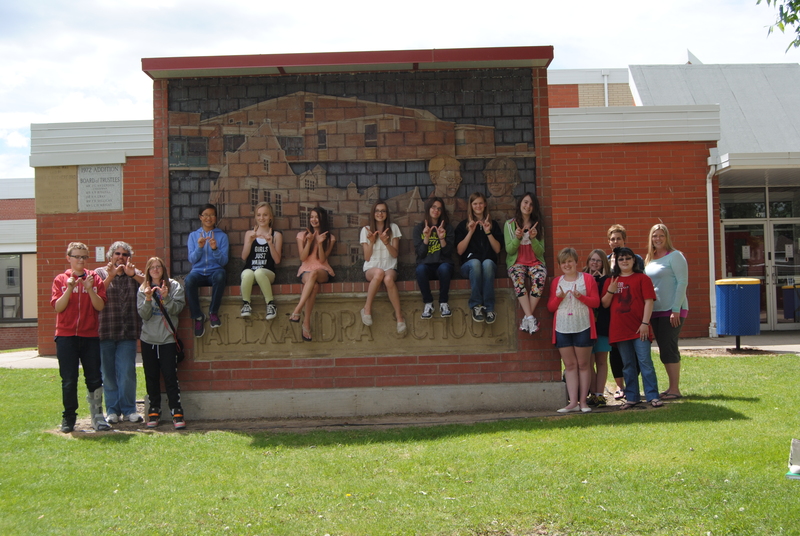 Glendale Public School, under the leadership of Melanie, raised $1241.44. This year at Glendale Public School in Brampton we were excited to again be a part of supporting Creation of Hope. We sold Candy Cane grams at Christmas and Freezies in June. We had a few students who individually contributed larger sums of money. These included Jake Elias $61.00, Emily Elias $25.00, Shannon $40.00 and Kealey S. $20.75. 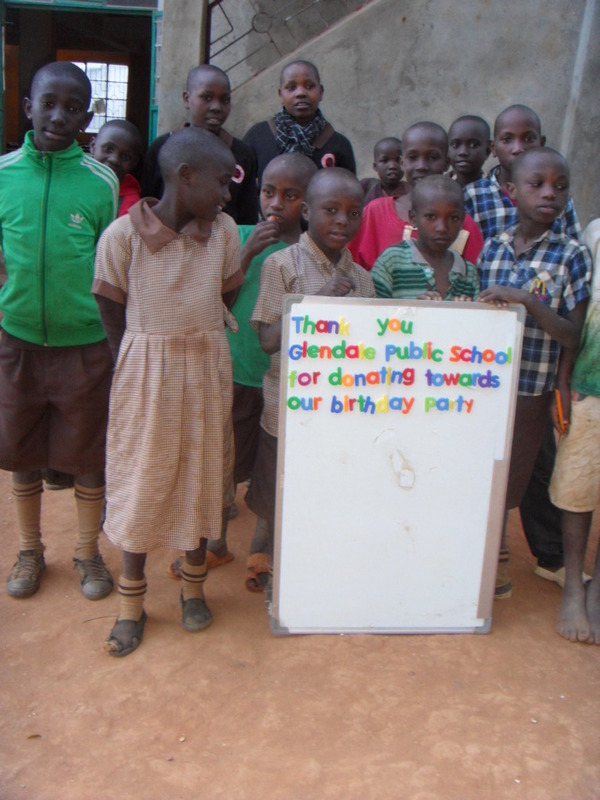 We were able to raise a total of $1242.00, which we are thrilled to be able to put towards the birthday party for the orphans this summer. 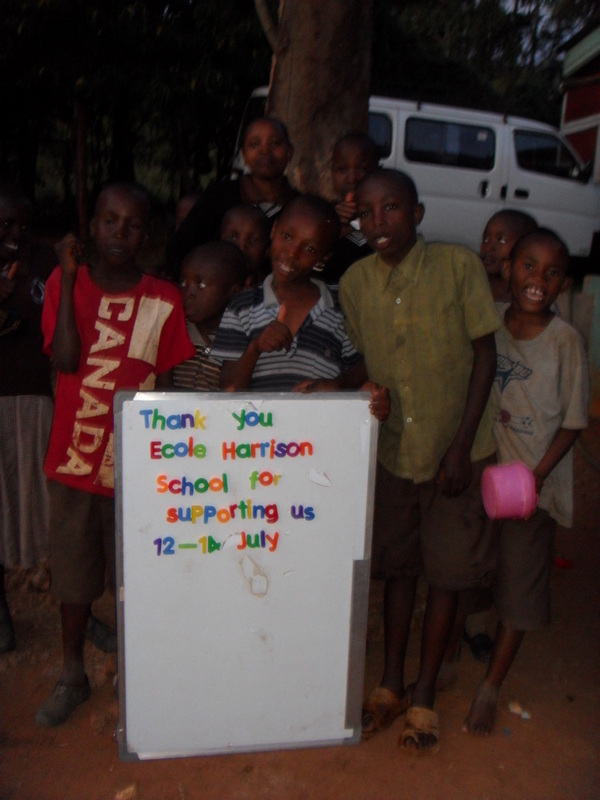 The children were impressed and quite moved by your presentation in September, Eric. 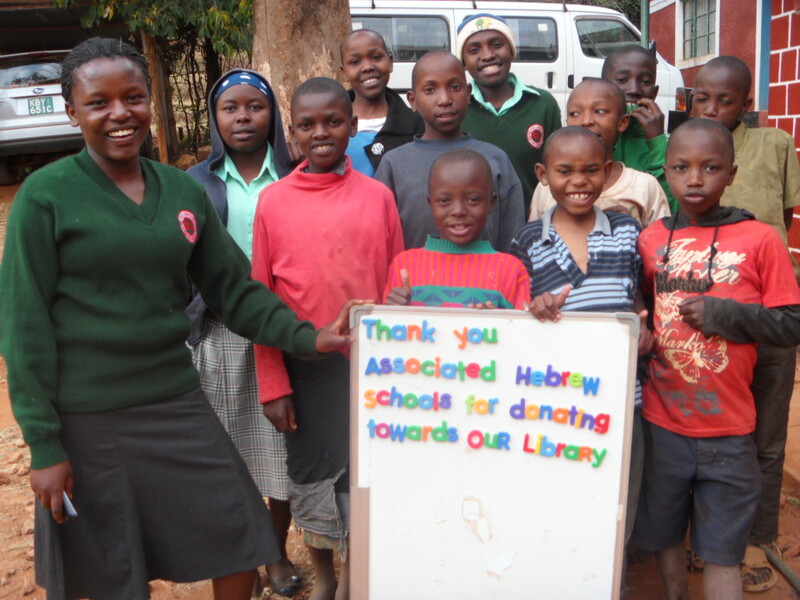 Associated Hebrew Schools made a generous donation of $592.05 with the money to be used for the Academic Library at the Rolling Hills Residence. Maple Grove P.S. in Oakville made a donation of $144.65. 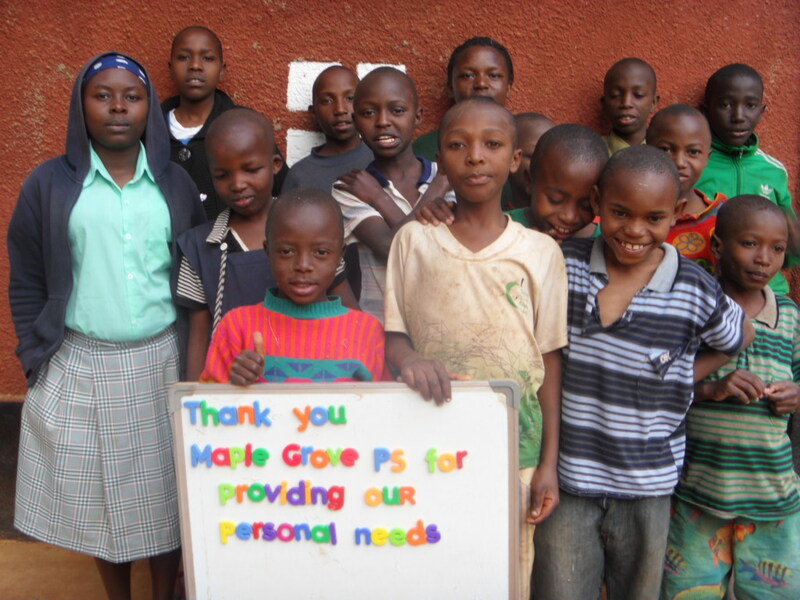 These funds are being used for personal needs for the children of our residence. Lasalle P.S. in Lasalle has been supporting two young people, Eric and Faith, in their journey through high school and now into university. 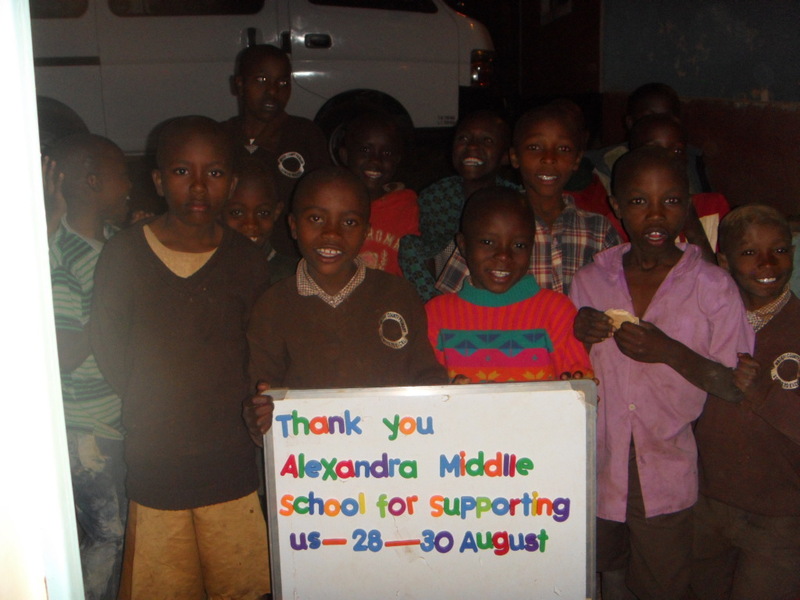 They held a variety of activities and raised $3000.00 in their most recent donation! Centennial Hylands E.S. made a donation of $290.35 to be used toward high school education. 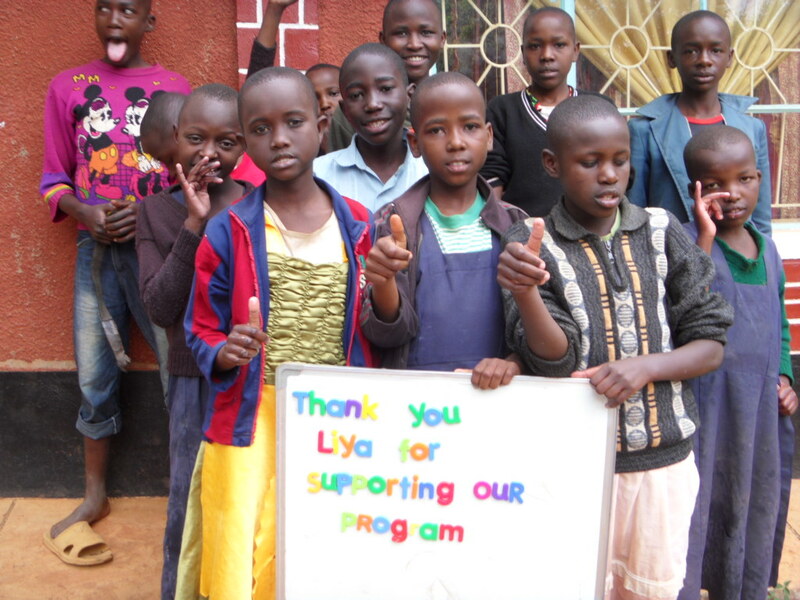 We have 42 orphans who are in high school or post-secondary education and some of them are not formally sponsored. 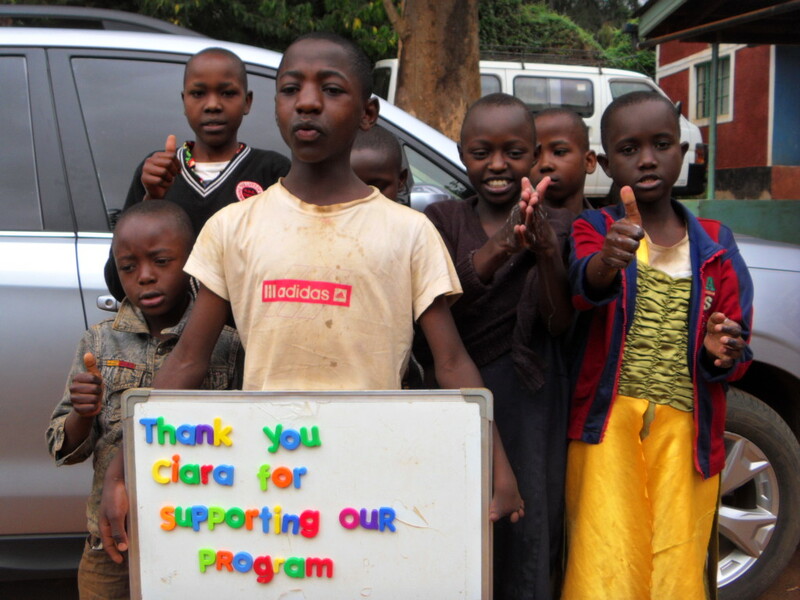 They are simply children in the community that we have agreed to pay their tuition. 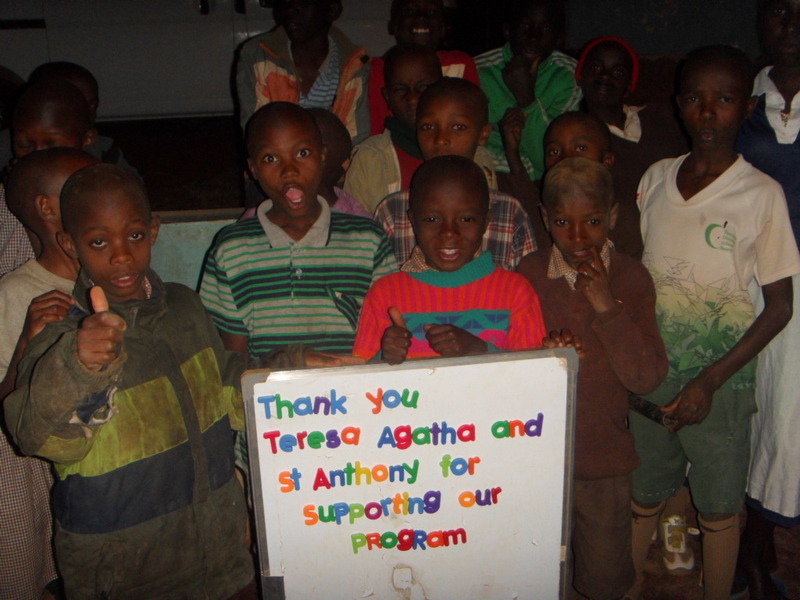 St. Anthony in Brampton mad a request through Ontario Teachers’ Federation/ FEO and they made a donation of $500.00 through their International Assistance Committee. Agatha and Teresa, staff members, made this request. The money from Adjala Central was directed toward our monthly food distribution to the community. 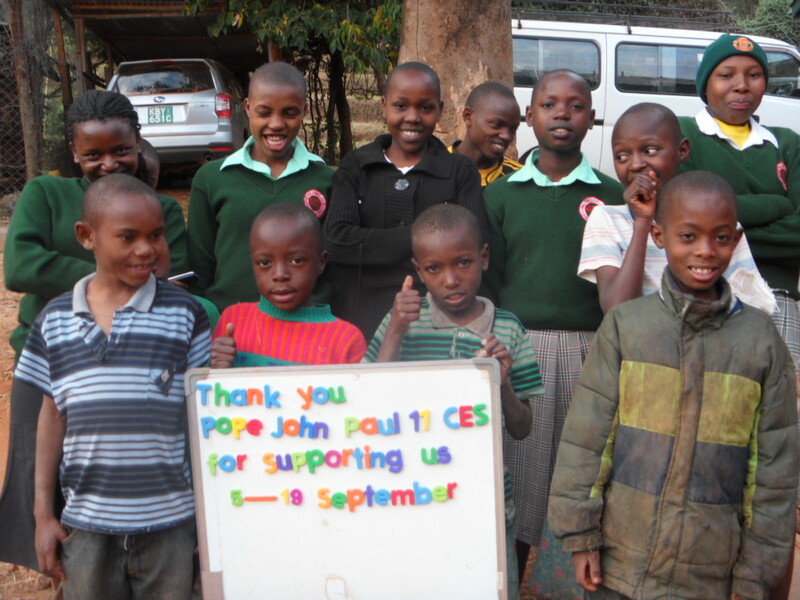 This is the letter from Christine who provided leadership at Pope John Paul II in Oakville. Pope John Paul II School has raised an additional $1,822.68 for Creation of Hope, through the sale of healthy juice freezies by the School/Parent Council over the past two months. I’m very excited that your visit a few months ago triggered a sustained interest in supporting Creation of Hope. We hope to continue doing this for years to come. 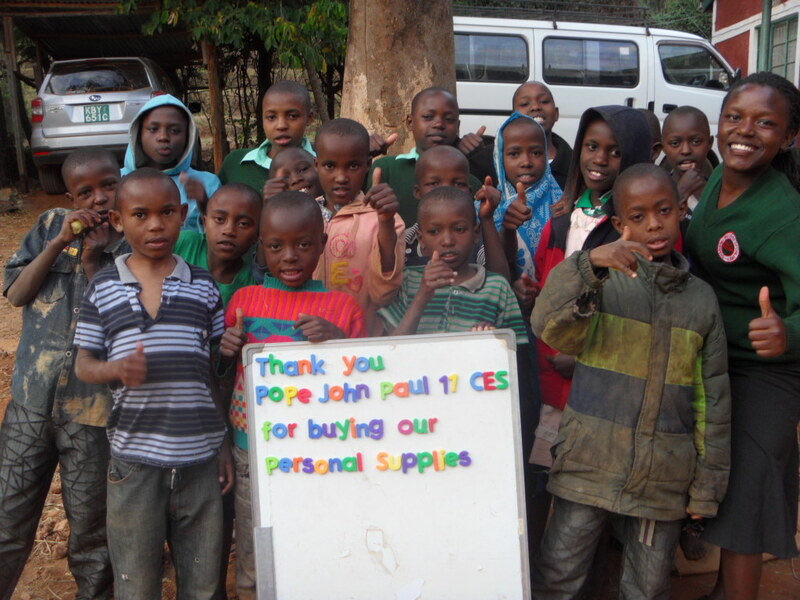 This money was used to purchase personal supplies for the children as well as for 15 days of support – see thank you signs below. 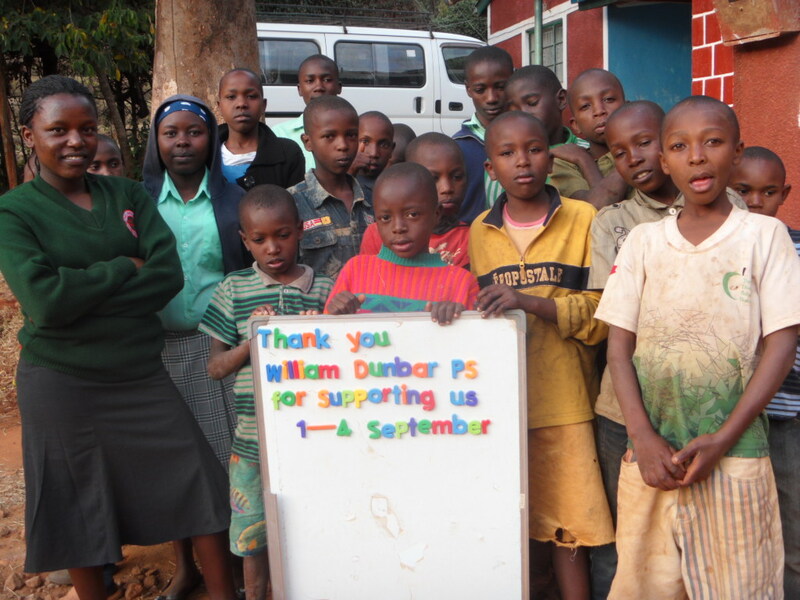 Once again our friends at William Dunbar P.S. 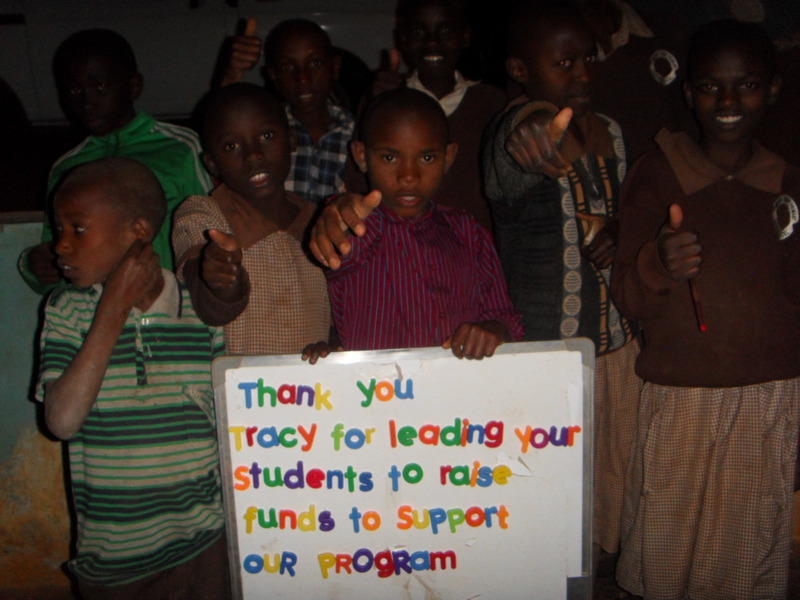 made a donation of $685.97 to our program. This money will be used to provide support for 4 days plus to help subsidize our monthly food distribution. The thank you sign designating the days is shown below in the update. Mrs. Sheryl Bench’s Grade 4 class of 2014 at Pelham Central School held ‘Terrific Treat Tuesdays’ selling delicious treats they had prepared. 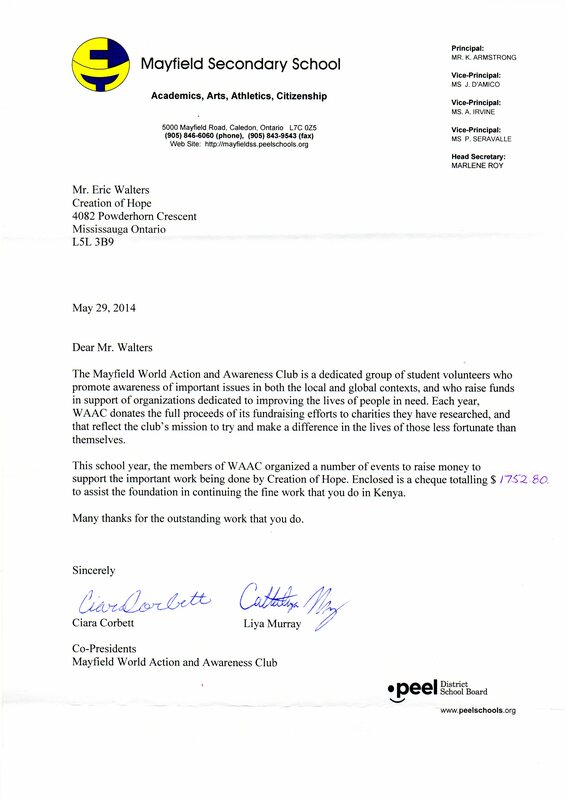 They raised and donated $75.00 for Creation of Hope. This will be used to help support our monthly food distribution. 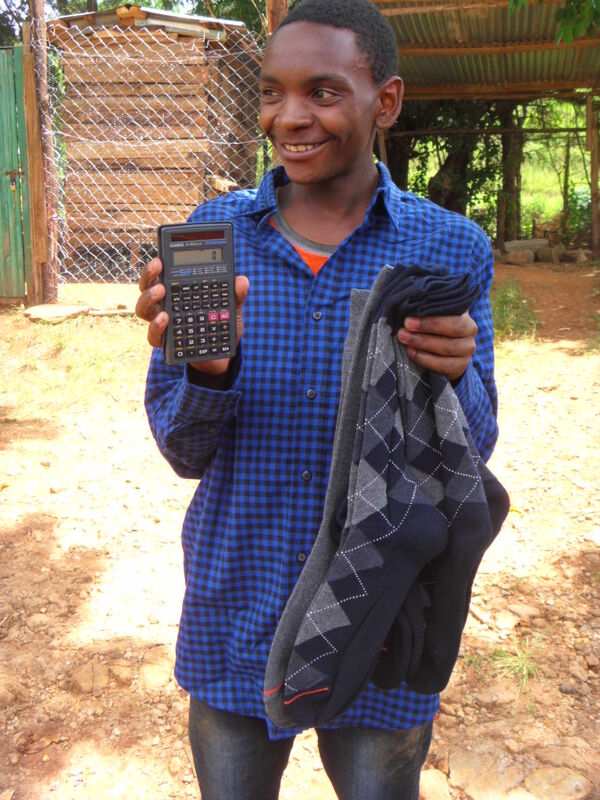 Shauna and Todd Sarjeant made a donation in honor their son, Sam for his teacher, Mrs. Noordhuis – one of sponsors who is spending part of the summer in Kenya at our program. 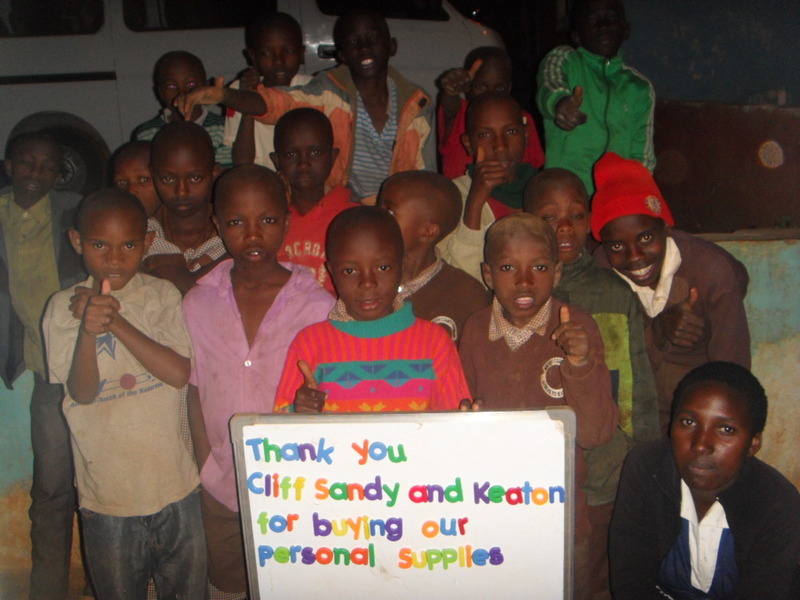 Kathy Tate-Bradish made a donation which is being used to support the Rolling Hills Residence for one day. 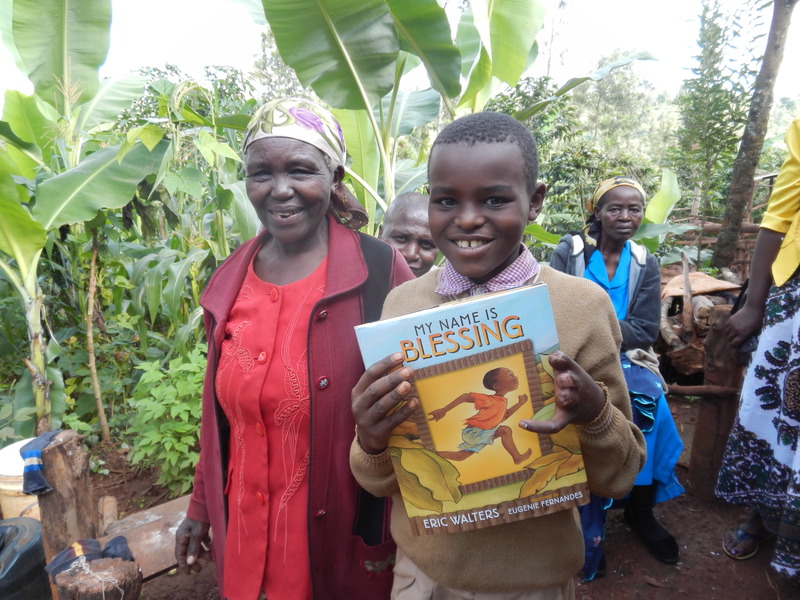 This donation was prompted by Katherine reading a copy of My Name is Blessing and giving this to a young boy in Kenya who could identify with the theme. Keaton and his parents Sandi and Cliff are sponsors of a child in our program and we were fortunate enough to have them spend an extended visit in Kikima in 2013. Keaton has – again – asked for his birthday party guests to make a contribution to the program instead of receiving presents. They contributed $181.00! Great thanks. 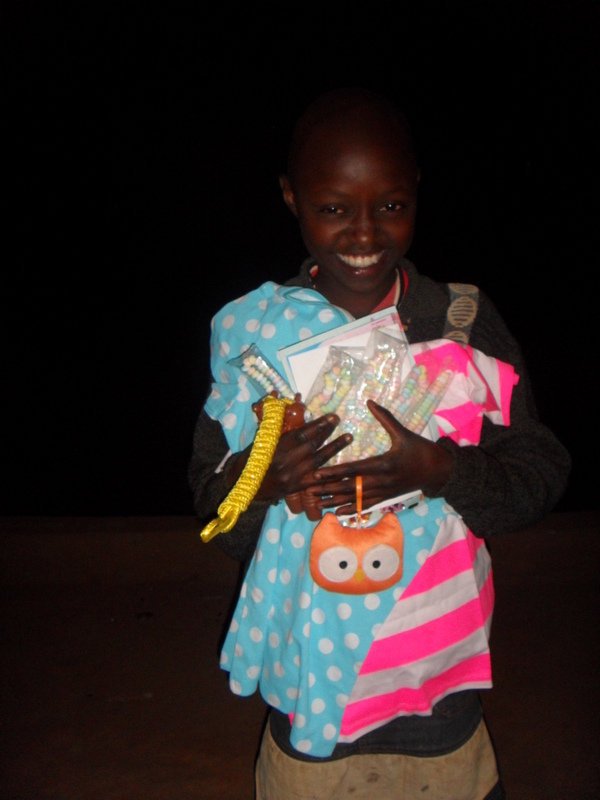 His parents also made a donation in memory of Faith – the young girl in our program who died in January – who they had met. Great thanks! Paul Nerino – one of our wonderful sponsors along with his wife Michelle and daughter Zoe – are sponsors in our program. Paul has just retired and his retirement gift was a donation of $350.00 to our program. 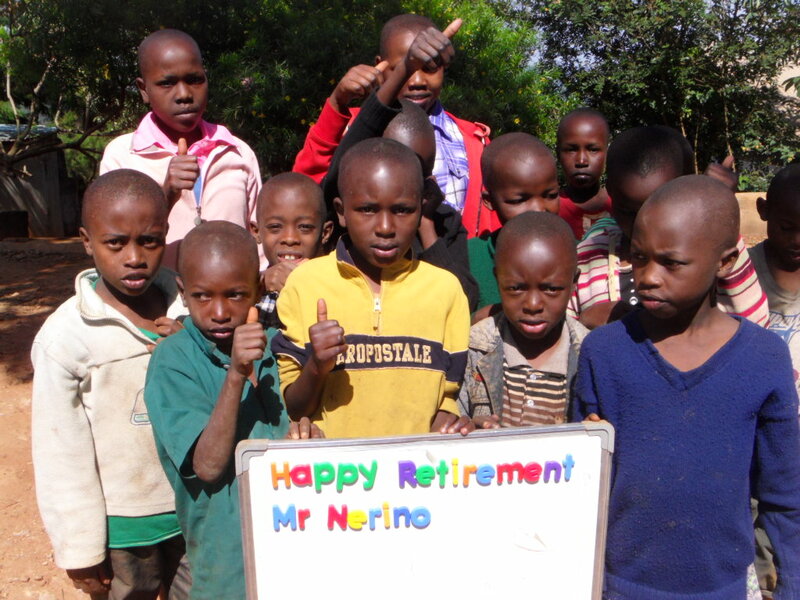 Now that Paul is retired we’re accepting no excuses for him not going to Kenya to spend some time where we can put his talents to work. 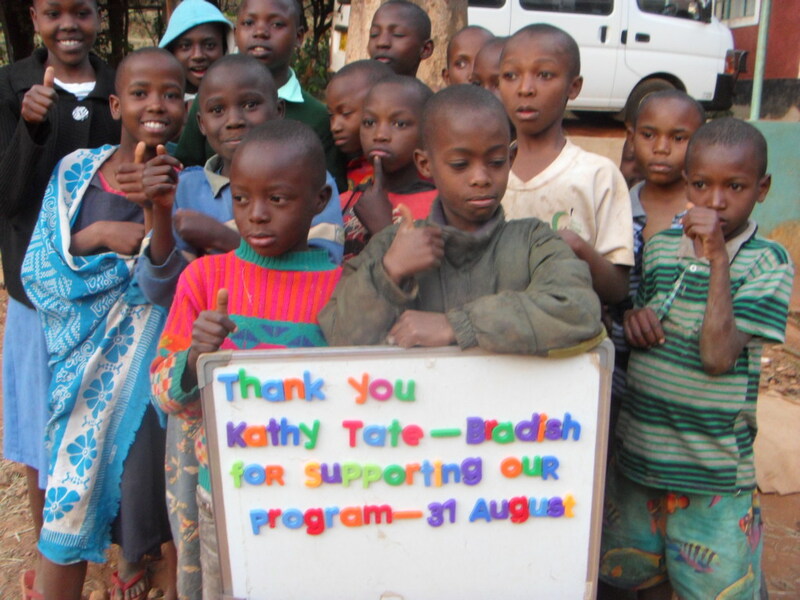 Barb Kettle – one of most faithful sponsors of the program – made a donation. 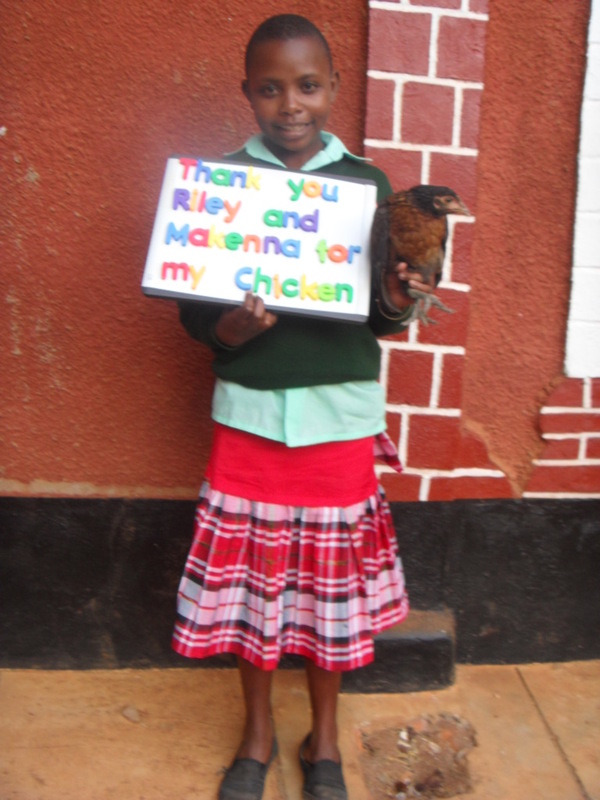 Riley Kells made a donation from his family for $50.00 which is to be used to buy chickens. His mother, Jennifer, also made an additional $70.00 donation from golfers at Heron Landing. A $100.00 donation provides one day of support for the entire Rolling Hills Residence. This is food for 55 growing children, their routine medical care, basic school supplies, the salaries of all the staff and the utilities of the building. These are the supporters who will get the program through the summer and into September! Every month we distribute over 2.2 metric tons of food to orphans and impoverished children living with extended families. Most of this cost is provided by our sponsors but there is always a deficit and we utilize other donations to make up the shortfall. 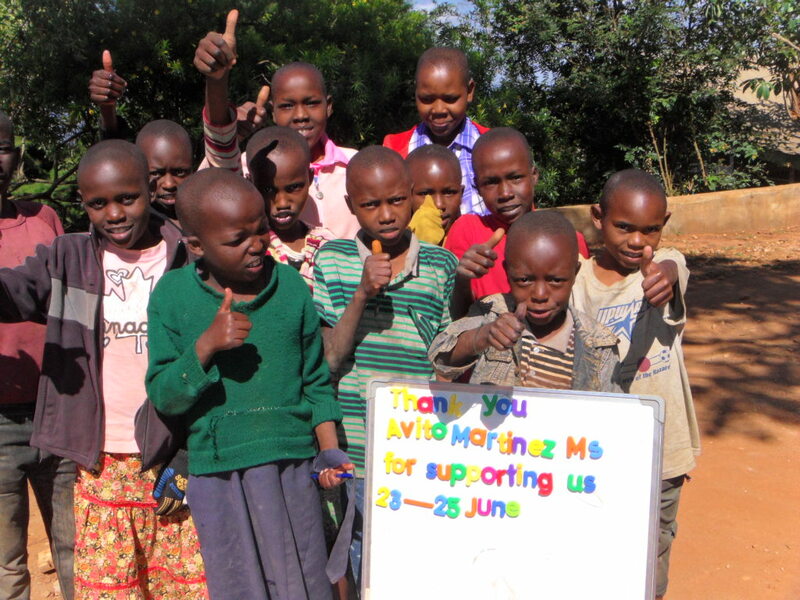 Originally we had hoped to use the funds raised by Mary Immaculate to purchase land to allow us to have a playground for the children. This has remained a sensitive negotiation. In the meantime we are going to designate part of the funds they raised to finish the second well that has been dug on our property. Without water there is no life. 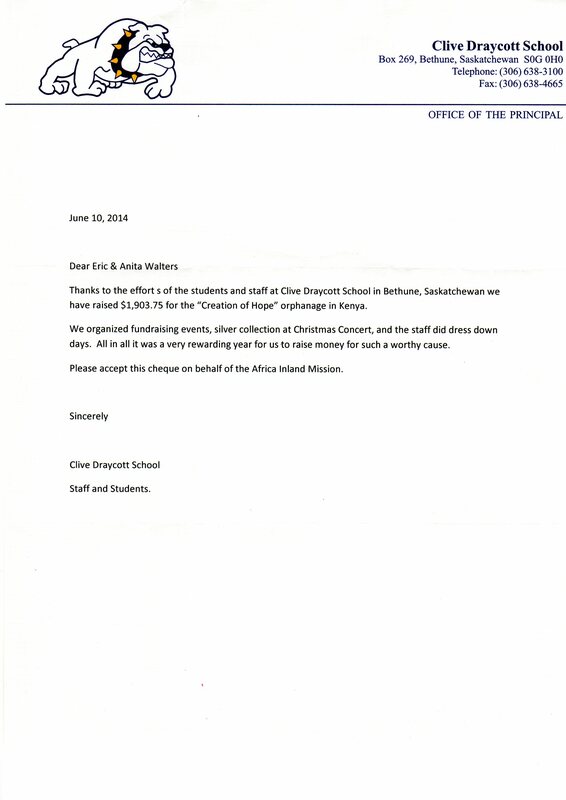 We will follow up in the next update with a letter indicating what this school did to raise their donation and to follow up on exactly how we use their funds. 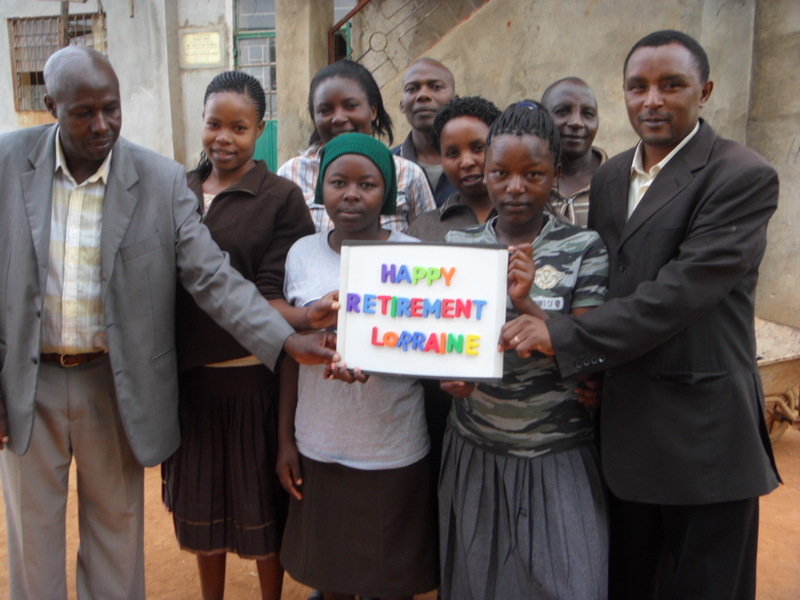 A $200.00 donation was made in Lorraine’s honor for her retirement. This money will go toward high school tuition fees. 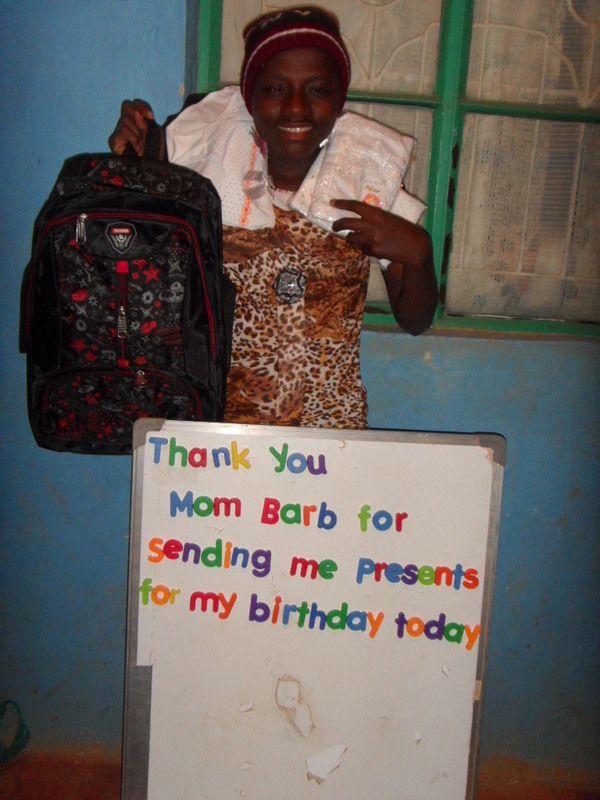 We try to give back to our sponsors a picture of the items they send/or fund in the hands of their sponsored child. 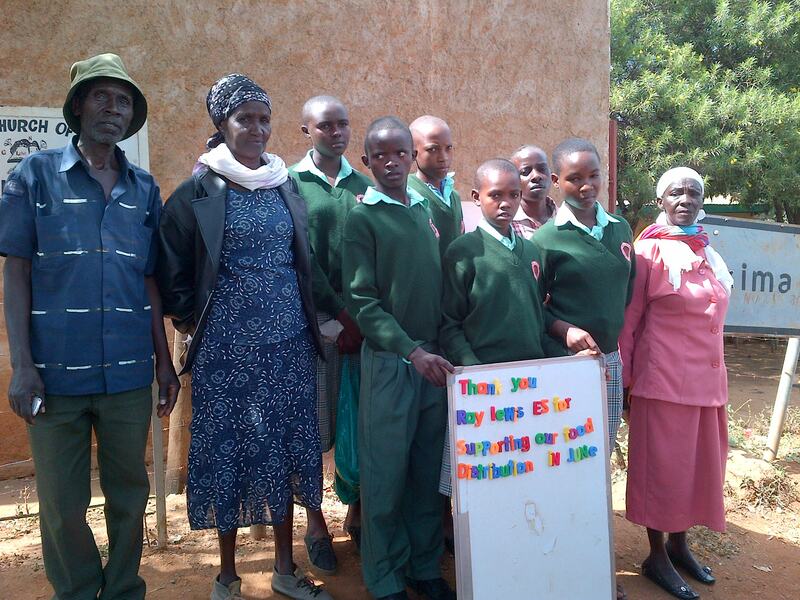 Grace is the grandmother of a number of our orphans – including Baraka and Kanini who live in the Rolling Hills Residence and Benjamin and Jackson who are now in high school. 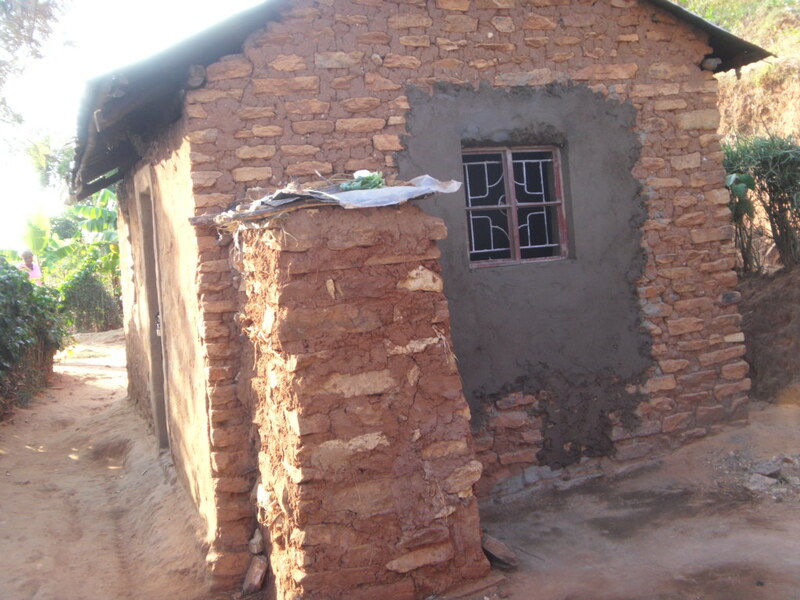 I have made a personal commitment to Grace that included the newly installed window for her home, food distribution and goats and a cow to support her and the grandchildren that remain in her care. Here is the new window. 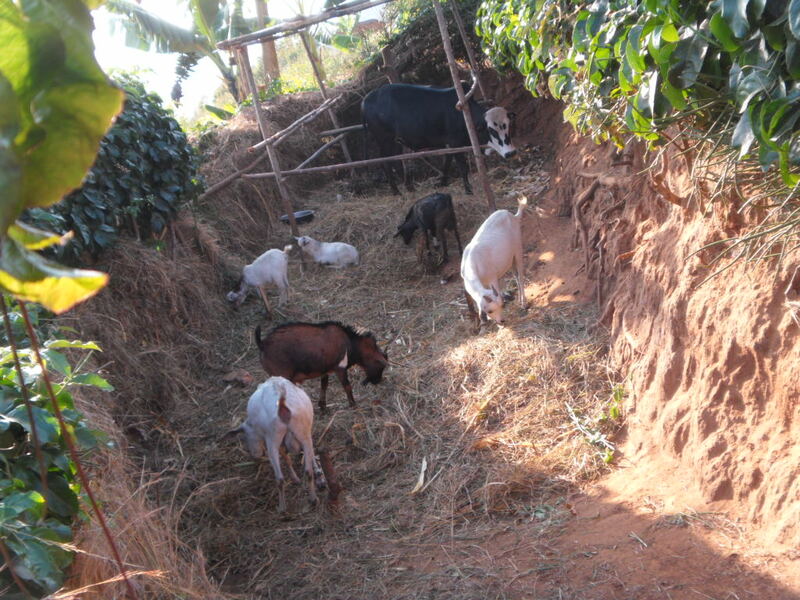 Her goats are multiplying and her cow is now pregnant! Eric and Barb Ross have been sponsors of Ndasi for over 5 years; they were one of our original sponsors in the program. Over the years, Eric and Barb have been faithful sponsors and have also involved their church and Sunday School class in donating to the program as well. Sadly, in May of this year Eric passed away after a courageous battle with cancer. We extend our sincere sympathy and support to Barb and her family. 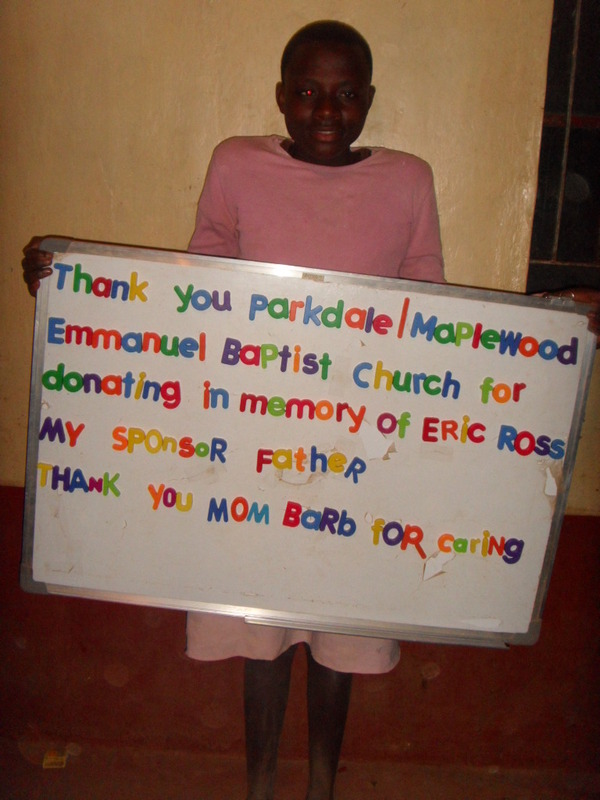 The Ross’ church, Parkdale/Maplewood Emmanuel Baptist Church in Nova Scotia made a donation of $1000 to our program in memory of Eric Dale Ross. We thank them for their kind gesture to honour one of their church members and one of our Creation of Hope long term supporters. Eric will be warmly and gratefully remembered.